Power Systems Plus (PSP) have supplied Nav Canada quality, reliable and cost effective emergency generation, automatic transfer switchgear and load banks for over 5 years. 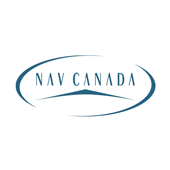 As Nav Canada is the nation’s supplier of ANS (Air Navigation Services), these systems are critical to the safe operation of air navigation systems. In addition, Nav Canada frequently contracts PSP for maintenance and emergency repair services across Western and Northern Canada. Power Systems Plus is consistently successful in restoring essential services under the most severe conditions and complicated situations. 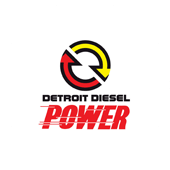 Power Systems Plus utilizes up to date technology designed specifically to meet client requirements, financial constraints and project schedules. We have been conducting business with Power Systems Plus Inc. for over 12 years. Their services to us include, but are not limited to, installations of emergency generators and associated equipment, load bank sales & rentals, as well as custom built panels. We have become accustomed to the quality and cost efficient services they provide. Their knowledgeable and courteous staff address all customer concerns in a professional and timely manner. Power Systems Plus Inc. has serviced Edmonton Garrison’s alternative Power Units (standby generators) since October, 1998, through a preventative maintenance Contract. During this time, Power Systems has upgraded or repaired our generators. The generators are currently fully functional and dependable. Power Systems Plus Inc. has been a cooperative and trustworthy Contractor. Their work ethic is courteous and professional. All minor problems are dealt with expeditiously. 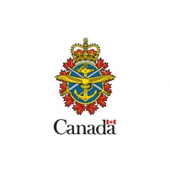 They identify major problems or breakdowns to Edmonton Garrison with possible solutions, estimated costs, and the required time for repairs for consideration and approval. When approved, work is completed quickly and accurately. Power Systems staff make themselves available for questions or concerns. They are knowledgeable, courteous, and willing to assist in dealing with the concerns of their customers. Every customer is important and no concern is too small. Invoices are received on time with a detailed explanation of all costs. In the three years of dealing with Power Systems Plus inc., they have been excellent to work with. Their work is dependable, expeditious, timely, as well as reasonable in cost. Power Systems Plus Inc. is a valued contractor for the Department of National Defence, Edmonton Garrison. They have brought our power generating systems up to code and to an excellent working order. We look forward to their continued service in the future.